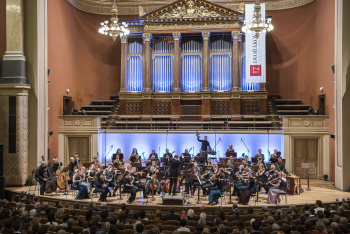 in cooperation with Musica Florea, z.s., and International Music Festival "Dvořákova Praha"
His first task as a composer in his home-away-from-home was to finish a cantata commissioned by the Conservatory–The American Flag, which he had sketched while still in Bohemia. But well before completing its score he began jotting down motives he found welling up within him, inspired by his new surroundings, in particular by African-American spirituals which he considered a uniquely beautiful product of the New World. And in January 1893 he began forming those motives into a new symphony. Another source of inspiration were legends of Native Americans as rendered poetically by Henry Wadsworth Longfellow in The Song of Hiawatha: according to an interview with Dvořák the symphony’s second movement is related to Hiawatha’s wooing, and the third to an episode with dancing at a feast. Dvořák reacted with irritation to frequent implications that he quoted pre-existing melodies in this symphony. The truth is that he invented melodies of his own inspired by American styles; closest to a quotation is the G major flute theme of the first movement, beginning like the second bar of the spiritual ‘Swing Low, Sweet Chariot’ and continuing with a modification of its third bar, but otherwise completely independent. Dvořák identified particular musical traits of spirituals which he adopted–use of the pentatonic scale, lowered leading tones in minor keys, and a certain type of syncopation. All these traits, taken individually, can be found in European folk music as well, and also in some earlier works by Dvořák–but never with such concentration as here, where their combination with each other and with other factors yields a style that is indeed new to Dvořák and to symphonic music in general. Dvořák’s most perfect replica of a spiritual, but without resemblance to any particular spiritual from the existing repertoire, is the famous English horn theme of the second movement; after his student William Arms Fisher later fitted it with spiritual-style words it was adopted as a sort of ‘honorary’ (and especially beloved) spiritual, ‘Goin’ Home’. But this symphony is remarkable not only for its representations of America. 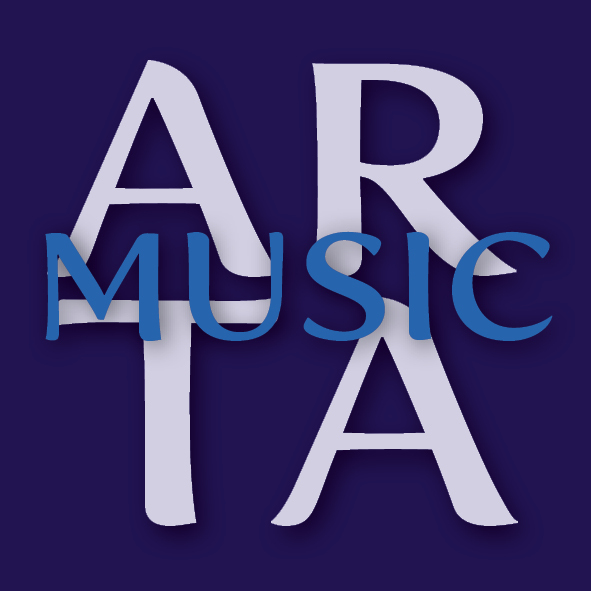 It displays Dvořák’s proverbially endless fount of engaging melody (American or not), but also for example imaginative ideas in harmony, texture, and orchestration. We don’t usually think of Dvořák as one of the most ‘progressive’ composers of his time, but for instance the pounding reiterations of a dissonant chord near the beginning of his third movement were quite astonishing in 1893 and could easily have inspired Stravinsky in his famously innovative Rite of Spring. Also very noteworthy is the overall form of the symphony, outwardly following the traditional four-movement pattern but forging everything into an unusually compelling dramatic whole, using–among other means–the device of reintroducing themes from previous movements. In this and other ways Dvořák may have taken some hints (as he did also in his previous symphony) from the Fifth Symphony of Tchaikovsky. But he went much further than his Russian friend, weaving not one but two motives from the first movement into the action of the second and third, then in the second half of the finale creating a drama where the bold theme of the finale itself encounters no less than five ‘characters’ from all three previous movements in the form of melodies clearly recognizable yet with a countenance transformed in the new context. Meanwhile pervading this symphony is a certain indefinable freshness, clarity, and in many places sweeping dynamic energy, with a sense of struggle that becomes ever-more intense towards the end, before finally resolving in the great catharsis of the final pages. 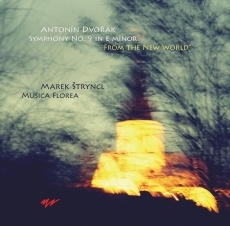 This recording of Dvořák’s ‘New World’ Symphony by Musica Florea is part of a long-term project aimed at performing and recording all nine Dvořák symphonies in authentic interpretations on period instruments or copies thereof, in the spirit of period performance practice. 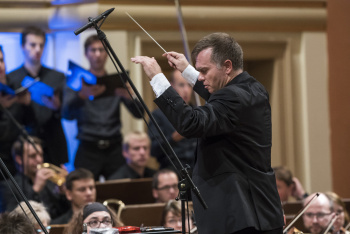 From a world completely different from that of Dvořák’s Ninth Symphony comes his Patriotic Hymn for chorus and orchestra from 1872, a setting of the closing ode from an epic by Czech poet Vítězslav Hálek (1835-74) titled The Heirs of White Mountain. A hill on the outskirts of Prague, ‘White Mountain’ had been the site of a battle in 1620 where Czech patriots and their supporters, rising in rebellion against their Habsburg overlords headquartered in Vienna, suffered a crushing defeat. That defeat ushered in a ‘dark age’ for the Czech nation from which it was only beginning to recover in Dvořák’s time, with gradual establishment of a degree of self-governance and cultural independence, leading ultimately to freedom upon the dissolution of the Habsburg empire in 1918. Hálek’s text is a fervent expression of love for the ‘motherland’ with a summons to support her in the face of heavy odds and not to lose hope. Ironically, perhaps, Dvořák’s setting is inspired by the styles of Wagner and perhaps a particular piece by Brahms that had been recently performed in Prague, the fourth movement from his Requiem: ‘How Lovely Are Thy Dwelling Places’. But those German styles supplied Dvořák with fodder which, transformed by the power of his own imagination, yielded very moving and potent expression of Hálek’s Czech patriotic message. The premiere in 1873 was Dvořák’s first triumph as a composer, and twelve years later this became the first work he sold–for a handsome fee–to his English publisher Novello. Today it languishes in undeserved neglect, somewhat eclipsed by Dvořák’s later magnificent choral works like the Stabat Mater and perhaps by the curious notion (quite certainly false, arising from considerations irrelevant to us today) that he was important mainly for his instrumental works. The present recording is the very first to capture the Patriotic Hymn in its early form, before the extensive revisions Dvořák carried out just prior to publication. An experienced musician can take the liberty of changing the tempo during performance of a piece if performing it with intelligent colleagues–as Carl Phillipp Emanuel Bach knew already in the second half of the eighteenth century, differentiating between free treatment of tempo or rhythm (tempo rubato) only in a solo part and in the entire ensemble. In the nineteenth century both types of ‘rubato’ acquired the status of something fundamental that no musical interpretation could do without. Already in 1801, in A New and Complete Musical Dictionary by the English composer Thomas Busby, we read that musical expression and its enhancement require frequent quickening and slowing of the tempo. Edward Sobolewski, a native of Königsberg later publishing in music journals under the pseudonym J. Feski, wrote of continual use of ritardando and accelerando as an established practice thanks to which both musicians and audiences believed a diminuendo must be accompanied by a slowing and a crescendo by a quickening, and that a delicate phrase at a low dynamic level should be played slowly and vice versa. In 1837 Johann Nepomuk Hummel declared that in a composition played according to a metronome the feeling of the piece and musicality are lost, and that metronome markings always determine the tempo only for the first few bars. A typical Romantic advocate of extreme rubato was Richard Wagner, who as a conductor insisted on abrupt turnabouts in tempo based on lively or passionate empathy with the musical-dramatic situation. 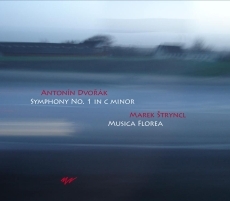 Today we know that Antonín Dvořák, too, adhered to the trend in performance that brings to the fore the mood of compositions or phrases, to which the tempo, intonational, and rhythmic components of music should be subordinated. It was customary that many rhythmic figures were sharpened or on the contrary loosened according to what human affect they were to express, without the composer indicating this in the notation. Especially after World War II, recordings of the New World Symphony began to lose their romantic vitality and musicality, which had been based on decorative legato and glissando joining of tones and on intentionally non-unified strokes of bows, but especially on variety and freedom in tempo and rhythm corresponding to the beauty of human affects. Gradually this variety came to be considered an error warranting ‘correction’, which consisted in suppressing romantic performance ideals. Some critics today paradoxically consider this free romantic style using rubato to be amusical! Our recording endeavours to return to romantic orchestral music its original expressive means, which have been forgotten or even considered undesirable, evidently in the interest of achieving ‘technical perfection’ or because of a reductionist approach to the musical notation claiming that what’s not in the score has no right to existence. We also need to remember that Dvořák’s Ninth Symphony has other roots–the folklore of Native Americans, and African-American spirituals. These, too, thanks to later heavy-handed performances, have become more difficult for the ear of the ordinary listener to perceive. It is no wonder that thanks to ‘authentic interpretation’ many experts on Dvořák’s music today are surprised by the forgotten effect it once had, of which they had no idea.